culture . Attractions . Emarites . Abu Dhabi . Dubai . Museums . 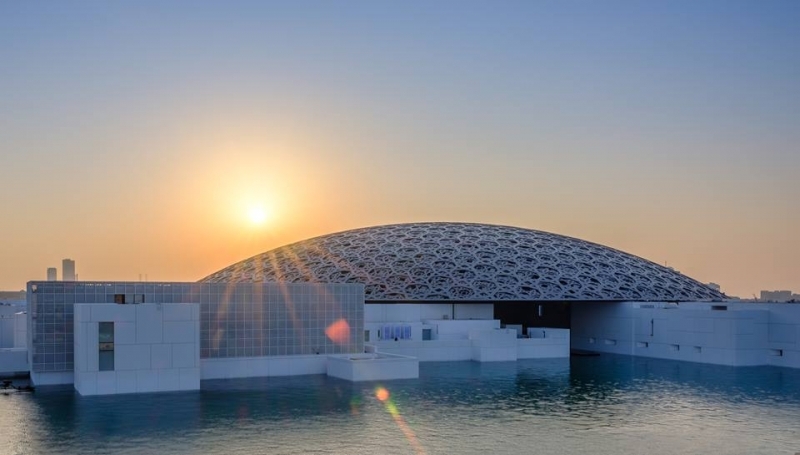 With the recent launch of Louvre Abu Dhabi, the leaders of the Emirate of Abu Dhabi have taken the first bold step towards a cultural journey that will see it become a world-class destination for art and culture to rival the likes of New York and Paris. The origin of the Louvre Abu Dhabi, the world’s first universal museum, dates back to 2007 when the United Arab Emirates called on the French expertise to develop a pioneering cultural institution rooted in universal human values, nurturing respect, curiosity, learning and self-reflection. So, what does it mean to be ‘universal’? Well, for Louvre Abu Dhabi, it means focusing on what unites us: the cultural achievements of mankind from pre-history to present day and the stories of human creativity that transcend individual cultures, times or places. 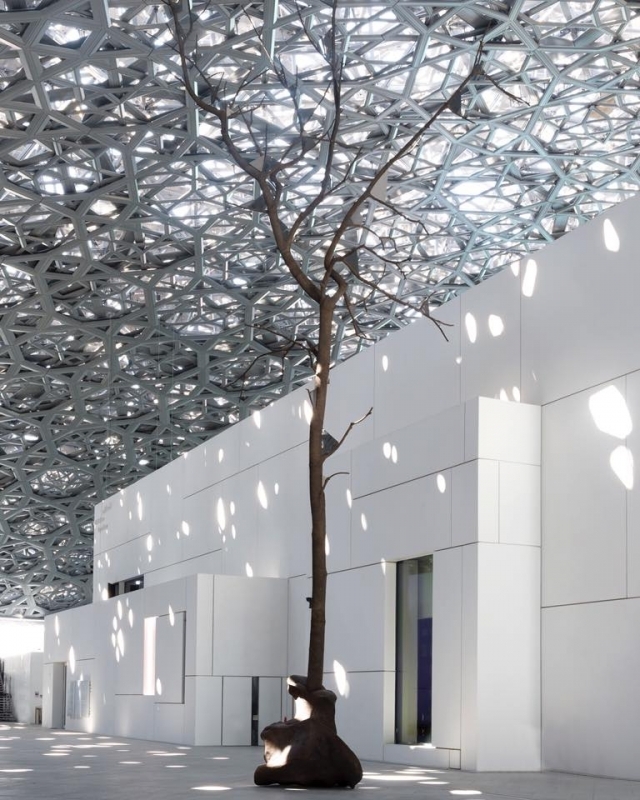 Designed by the award winning architect, Jean Nouvel, the Louvre Abu Dhabi showcases a series of low, white-concrete buildings complemented by a show-stopping latticed dome. Acting as the centrepiece of his vision, this huge silvery dome anchors the entire ‘museum-city’. Regardless of its apparent lightness, the dome weighs approximately 7,500 tonnes which is same as the Eiffel Tower in Paris. 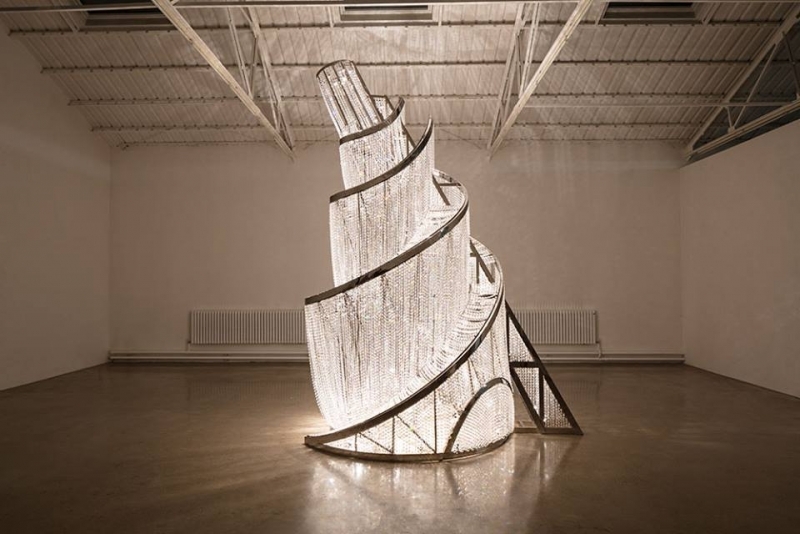 Seeking its inspiration from the cupola, a unique hallmark in Arabic architecture, the museum features an intricate metal web comprising of 7850 stars, master-crafted in various sizes and angles over eight different layers. As the sunlight enters the museum, it is filtered through the perforations in the dome to create a picturesque effect known as the ‘rain of light’. 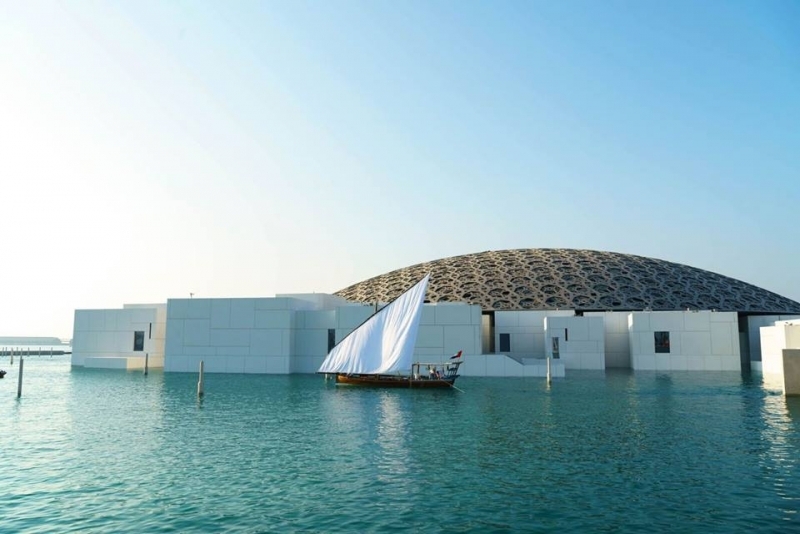 Designed as a micro-city, Louvre Abu Dhabi is an islet within the sea. While the dedicated areas encourage and entice a multitude of activities, it just feels like meandering around the narrow streets of an Arabian medina. Tourists can explore 55 detached edifices, 23 of which are dedicated to galleries inspired by the coastal homes of the local region. What’s more? Exterior facades overlooking the Abu Dhabi skyline and the lush blue sea inspire considered walks and conversation. Especially master-crafted artworks by artists such as Giuseppe Penone and Jenny Holzer punctuate the exterior facades, igniting further intellectual and emotional encounters. The museum’s main aim is to focus on shared ideas and themes that unveil what we humans have in common to outweigh the things that make us different. Moreover, there is a plethora of interior space for contemplation: a restaurant, a café, art and rest areas and outdoor walks to explore! Unleashed to inspire young minds, the Children’s Arts center at the Louvre Abu Dhabi is lot more than the pint-sized furniture and coloring-in sheets. 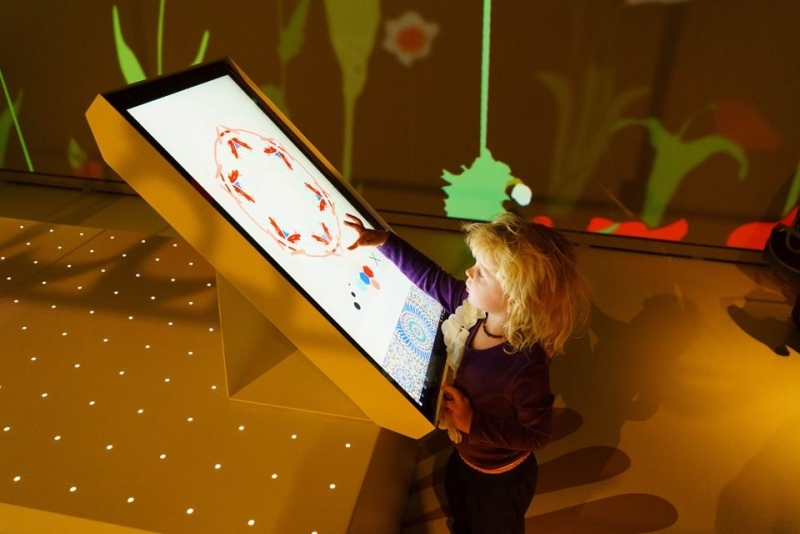 Spread across two floors, this museum hosts interactive workshops (in both English and Arabic) and family-focused exhibitions that are designed to enchant as well as educate. Targeting squarely six to twelve year olds, this children’s museum features programs that nurture the creativity and curiosity of youngsters, and the young at heart. While the museum’s galleries are air-conditioned, the adjacent open-air structure obviously isn’t. So, to make the best of Louvre, you’re recommended to visit the museum in the evening, especially during the hotter months of the year. Pro Tip: The best time in the evening is to visit 1 hour before sunset, so you can also catch glimpse of it in bright daylight. 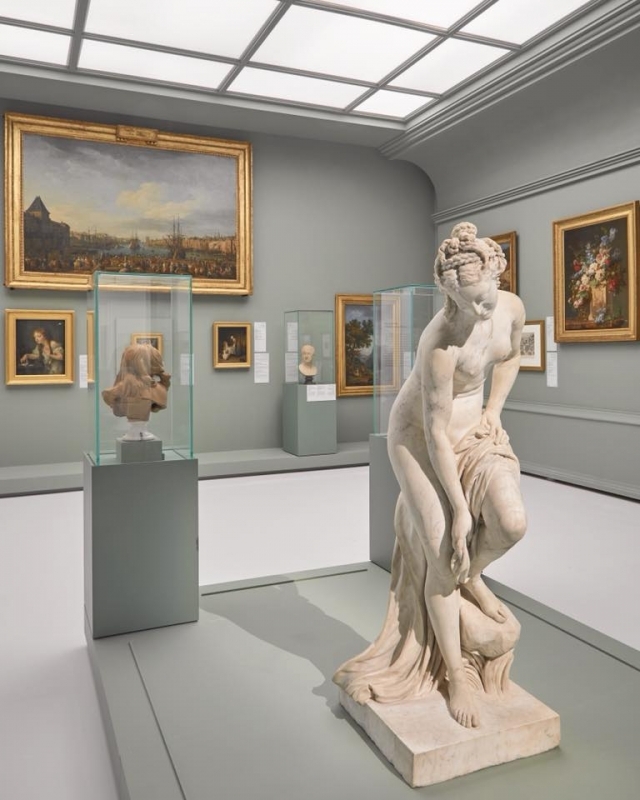 If you really want to cherish an intimate experience with each artwork at the museum, you must spare at least 2-3 hours for touring the main exhibition. Pro tip: Take guided tours: As much as you enjoy strolling freely around the museum and discovering artworks on your own, the guided tours are indispensable in making the experience more enlightening and educational. Throughout your entire 12 chapter journey, these tours explain the artworks, their historical backgrounds and significance to our era. The tours take nearly 45-minutes each and are provided by mediators around the galleries. One can buy the tickets online on https://www.louvreabudhabi.ae/en/buy-ticket/ or at the gallery itself. Since, most of the tourist attractions in Abu Dhabi are not particularly crowded, buying your Louvre museum tickets in advance is not really needed. United Arab Emirates considers to be the land of modern culutre which represents an intersection in history between ancient and modern culture,witness the greatness of dubai through Dubai Travel Packages!